On July 1st, the first new member of the Colorado Avalanche organization wasn’t an active player. Former forward Miroslav Zalesak from Slovakia has been named as a new pro scout of a team based in Denver. Unlike other scouts, his job title “pro” means he will cover mainly the professional players, secondly the prospects. Zalesak’s hockey career began in a small town of Nitra in Slovakia where he dominated the game at the youth and junior level. 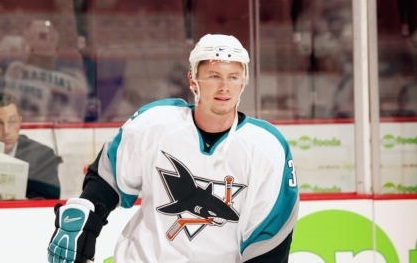 The San Jose Sharks organization picked him in the fourth round of 1998 NHL Entry draft. Zalesak spent the following two years in the QMJHL. In one season, he collected 111 points in just 60 games. Next two years, he was a part of the AHL teams. Finally, four years after his draft year, he made a debut in the NHL. Between years 2002 and 2004, he appeared in 12 NHL games; scored one goal and added two assists. He spent most of these seasons in the AHL again, where he was named to the AHL All-Star Game one year. 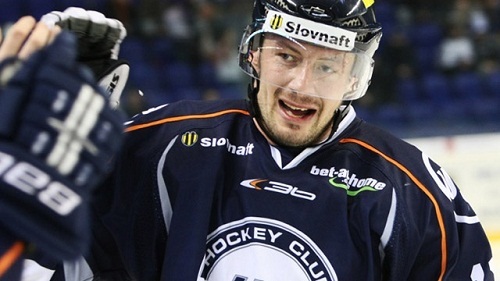 Zalesak spent the lockout season in his hometown team of Skalica in Slovakia and in Czech league as well. 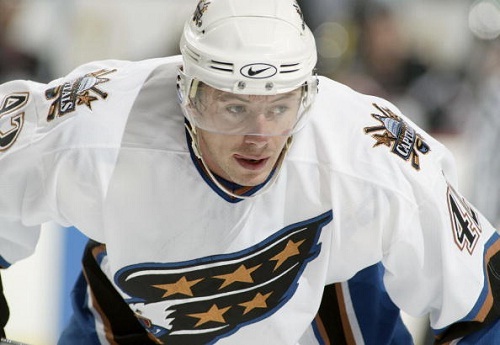 He tried to come back to the NHL at the Washington Capitals’ camp. He didn’t make an opening night roster, so he left North America for Europe forever. Since 2005, he played in various leagues in Sweden, Slovakia, Czech Republic, Kazakhstan and even the United Kingdom, where he appeared only in seven games. He was a key member of every team where he played and could collect almost one point per game in average. He was a captain of one of the most famous teams in Slovakia – HC Kosice. He won a league title with the same team and became the most productive player of entire league in that season. Finally, he won two title championships in his sole two seasons in Kazakhstan. Zalesak played at the World Junior Championship 1998/99 and helped to Team Slovakia won bronze medals. He also played at two World Championships later. He has retired of hockey at the end of the past season due health problems. How did you become a pro scout of the Colorado Avalanche? When I was playing in the past season, I know it would be likely my last one due some injuries. My health condition wasn’t good. I had problems with my knee. I couldn’t skate and still suffered a pain. I was thinking what I should do next. When I was younger, my dream was to become a scout sometime in the future and work for the NHL team. 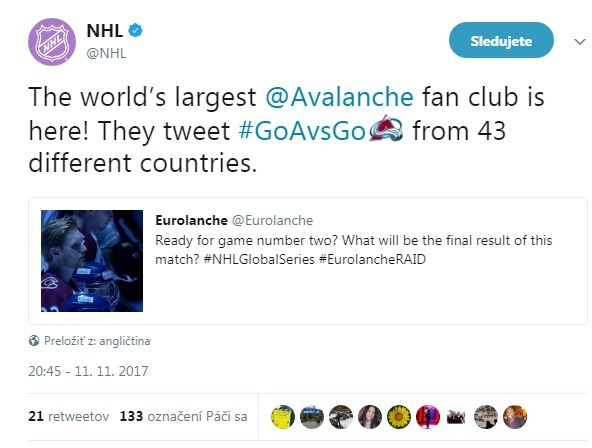 I lived in the USA, so I know the NHL is a top league in everything. I had some contacts and I informed about opportunities. I sent emails and Colorado answered me back. We were in an intensive communication. We had a three-hour meeting in Vienna (Austria – Eurolanche’s note). We talked about terms and they probably liked me (laugh). Then I came to the draft, spent a week there, was a part of all meetings and signed a contract. Who was your main contact which maybe chose you? I talked much with Chris MacFarland (Assistant General Manager – Eurolanche’s note). I called with Joe Sakic. I met everyone on the draft. It is great group of people and an organization. They have accepted me. I have felt like I would fit there forever. How it was to have a call with such legendary player like Joe Sakic? Of course I felt a respect. I have been following the NHL since my childhood. I love to watch the hockey. When I was injured, I even got up in middle of the night to follow the games. Sakic is a legend. His name speaks for everything. Patrick Roy was at the draft of course. It was honor for me to meet them, members of the Hockey Hall of Fame. What was your work at the draft about? I was a part of the pre-draft meetings where we were talking about further steps. We were talking about different strategies. It was kind of a school for me. Were you involved in choosing concrete players at the draft? I couldn’t be at the table, because my contract has been valid since July 1st. I was in the room along with members of the development team and players with their families. I was following everything from above. I met all players we picked. It was a great experience to watch the hockey from this side. It is also a paradox that Buffalo picked me in 1998 at the draft. This year, it was the second time in my life when I was there, but at different position. Do you remember on some concrete moment from the event? Mainly on how people behaved to me, how they’ve accepted me. We had diners after long days. I felt like at home. There are many moments. But it was about the work, not a vacation. What leagues will you cover for the team? I will cover professional players in the KHL, Sweden, Finland and Czech Republic and also prospects in Europe who were picked by the Avalanche before. Can you guess how many days will you be on a road? Everyone works on his schedule continuously. Today, I know what I will do in August – visiting some games, tournaments. I know about some meetings in Denver too in the future. How can you help to Colorado to improve? I think I can help with learning things because I had went thru everything. It is all about the communication with the players. I am good in giving advices. Do you remember that two of your 12 games in the NHL were against Colorado? Yes, immediately. I also played my first ever NHL game in the pre-season against Colorado in Denver. Sakic and Peter Forsberg were playing there. It was a great moment. I had an assist on Marco Sturm’s game winning goal. I remember on Pepsi Center. You had two shots on Roy in these two games. You found it very good (laugh). I was joking with Patrick on a draft and I asked him if he remembers on my shots (laugh). He answered me back if I scored. Of course not. Why did you decide to come back to Europe 11 years ago? I felt that AHL hockey couldn’t give me anything more. I had a great season there. I played few games in the NHL. Then the lockout had delayed me. I signed a contract with Washington Capitals after that. I had a clause in my contract which allowed me to leave the team for Europe if I couldn’t make the main roster. I was sent to the AHL as the last player at the camp. It was disappointing for me, because I was working hard. Maybe it was a mistake to leave, but I don’t regret it. Everything bad is good in something. Maybe they could call me up if somebody got injured. But I felt it this way. I had offers from Europe. Do you want to use your own experience as the Avalanche pro scout? Maybe you would advise young players to not coming back to Europe too soon? Exactly like you saying. I think everyone can come back to Europe at some point. But the way back to the NHL is impossible.